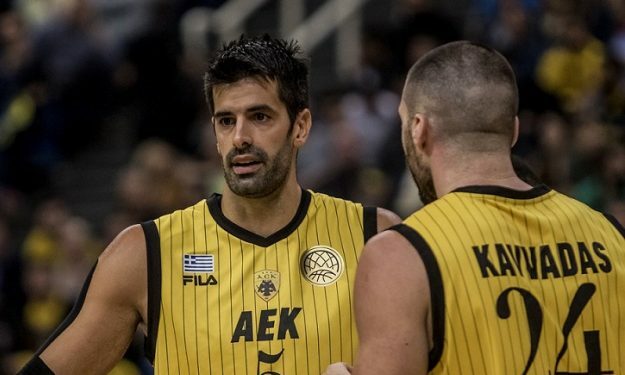 AEK and Dusan Sakota are leaving their mark on the Basketball Champions League. AEK is the defending Basketball Champions League champion, Vince Hunter got the weekly MVP award and captain Dusan Sakota sits at the top of the all-time scorers list. After scoring 11 points in the road win over Dijon, Sakota with a total of 519 in the Basketball Champions League left behind him Rickey Paulding and become the all-time top scorer of the competition. It’s going to be a very interesting race, since Kevin Punter, a former player of AEK who now plays for Virtus Bologna is in the third place and rising fast, averaging 17.3 ppg so far in the season.